Girls, I have prepared for you a new exciting game with Princess Rapunzel and her friends from Disney. The features of this dress that the main character we have that is Rapunzel. Because it will help other girls in the selection of the image. Snow white would choose her makeup, Princess Anna will make her a gorgeous hairdo, Princess Ariel is going to propose her dress. Of course you can also join the celebration and tell how to dress up Rapunzel for this fun summer party! So use the mouse and buttons in the game to show pretty princesses that you know their style and select the outfit even better! Girls, how long have you played Zizi dress up games? Today is the day when you can play them again. Played: 17874. Added: 27-06-2017, 09:23. 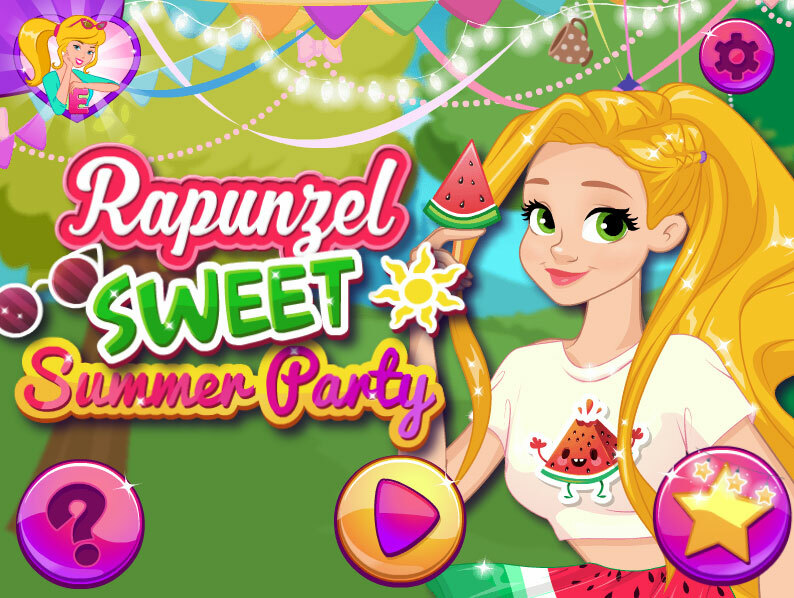 Rapunzel Sweet Summer Party game.